Preventative weed control refers to any control method that aims to prevent weeds from being established in a cultivated crop, a pasture, or a greenhouse. Examples of preventative weed control would be using certified weed free seed, only transporting hay that is weed free, making sure farm equipment is cleaned before moving from one location to another, and screening irrigation water to prevent weed seeds from traveling along irrigation ditches. Cultural weed control refers to any technique that involves maintaining field conditions such that weeds are less likely to become established and/or increase in number. 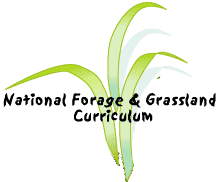 Examples of cultural weed control would be crop rotation, avoiding overgrazing of pastures or rangeland, using well-adapted competitive forage species, and maintaining good soil fertility. Mechanical weed control refers to any technique that involves the use of farm equipment to control weeds. The two mechanical control techniques most often used are tillage and mowing. Biological weed control refers to any technique that involves the use of natural enemies of weed plants to control the germination of weed seeds or the spread of established plants. This is a rapidly expanding area of weed control with many examples. Examples of biological weed control include sheep to control tansy ragwort or leafy spurge, cinnabar moth and the tansy flea beetle to control tansy ragwort, the chrysolira beetle to control St. John's Wort, and the use of goats to control brush on rangeland. Chemical weed control refers to any technique that involves the application of a chemical (herbicide) to weeds or soil to control the germination or growth of the weed species. In economic terms, chemical control of weeds is a very large industry and there are scores of examples of chemical weed control products. Common examples of chemicals used to control weeds in forages are 2,4-DB; EPTC; bromoxynil; and paraquat.